Are your heating and cooling costs out of control? If your El Paso, TX home isn’t properly insulated, you’re throwing money away. 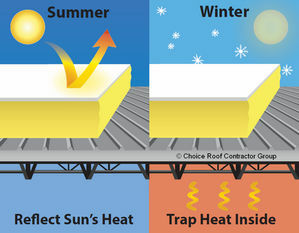 Inadequate insulation allows heat to escape your home during the winter and to seep into your home in the summer. But with energy efficient insulation from Ace Insulation Services Inc, you’ll enjoy lower heating and cooling costs, provide a more comfortable environment for your family, and extend the life of your heating and cooling equipment. At Ace Insulation Services Inc, we’re all about exceptional quality and service. In everything we do, we strive to ensure the total satisfaction of our valued customers.